I am currently on my Christmas holiday and will not be shipping orders or responding to messages. Messages will be responded to by Friday 4th January and orders placed over the festive period will be shipped until Monday 7th January 2019. The perfect accessory for your keys. Easy to spot when digging through your bag, never lose those keys again. The key fob can easily fit around your wrist. They come in handy when walking your dog or carrying your shopping. They make great little birthday or Christmas stocking filler gifts. Fabric wristlet key fobs are a fun colourful accessory they come in a variety of fabric designs. Each family member can have their own so you never grab the wrong keys again. The colourful cheerful design is sure to brighten your every day. 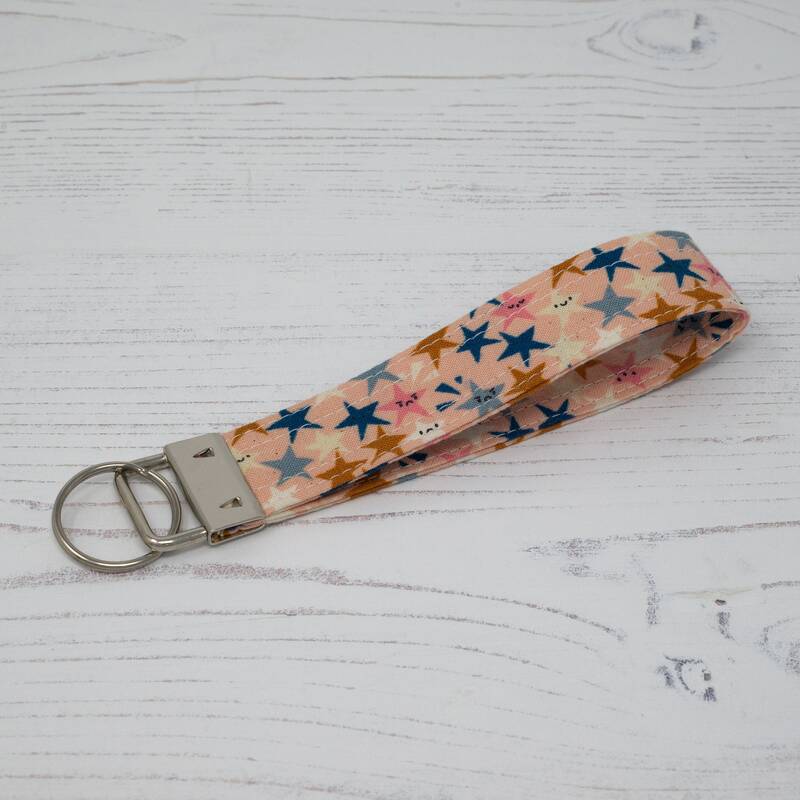 The key fob is made from quality cotton fabric in a gorgeous blush pink shade featuring colourful stars with faces. Each key fob is interfaced for strength and durability. Finished with a nickel hardware and attached keyring loop ready for your keys. Fabric pattern placement will vary.